WASHINGTON – Lawmakers hope to make it harder for “pension poachers” to hide the assets of elderly veterans, but at least some advocates worry that the proposed fix may end up hurting the vets it is designed to protect. Under current law, veterans can hide assets to look poorer than they are in an effort to qualify for the Department of Veterans Affairs pension program for low-income, elderly war-time veterans and their spouses. Sheltering assets that way is a loophole that has been seized on by “unscrupulous” financial advisers, who offer to help the vets and often sell them unnecessary services in the process. A bill that passed the House in October would close that loophole by instituting a three-year look-back – making a veteran ineligible for the pension benefit if he or she sheltered their wealth in the three years before they applied for the benefit. It has been incorporated into a bill currently pending in the Senate. 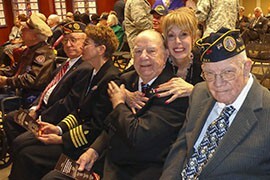 But not all veterans’ advocates are convinced the look-back is the right solution. In a letter to the Senate Special Committee on Aging, the California Advocates for Nursing Home Reform expressed concerns about the look-back and the failure to criminalize pension poachers’ activities. She said a three-year look-back would “only end up punishing the elders while doing nothing to stop the predators.” Her letter offered six suggestions for combating pension poachers, including a ban on advisers who stand to gain financially from referring veterans to the benefit. Debbie Burak, a pension benefit expert who runs the website VeteranAid.org, said she worries that the VA would not have the manpower to do a three-year look-back without extending an already lengthy claims process for veterans. Burak, like McGinnis, said a look-back is already giving pension poachers a tool to increase high-pressure sales tactics – an objection she said she shared with the Senate committee staff. But staffers for Sen. Ron Wyden, D-Ore., who introduced a Senate companion to the House bill, said they have worked with the VA to ensure that the look-back requirement would not add significant delays to approval of pension benefits. And Raymond Kelley, legislative director for the Veterans of Foreign Wars, said a look-back would be “no harder than what they’re already doing” with applications at the VA. 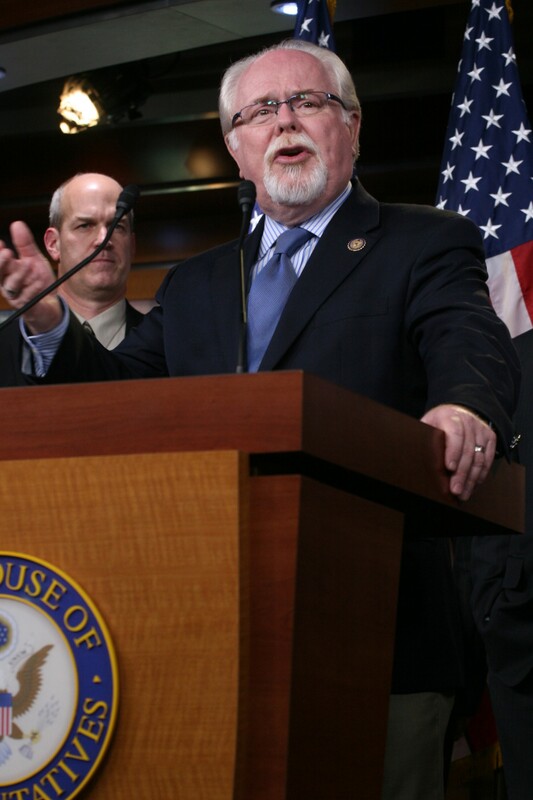 The VFW, which has veterans service officers throughout the country who offer veterans free help with their claims, supports the look-back legislation. Paul Williams, senior director of government relations for the Assisted Living Federation of America, said a five-year look-back for Medicaid applications has worked well. He believes a three-year pension look-back would succeed. He noted that the average stay in an assisted-living facility is 27 to 30 months, making it unlikely that people could begin hiding assets in time to qualify for benefits with a three-year look-back. Barber said the look-back bill is about “protecting veterans who might be vulnerable and taken advantage of who think that they’re being helped” by the pension poachers. “In the end, what these companies typically do is they sell them (veterans) financial products and then … often tie up their assets so they can’t get to them,” he said. Barber said he hoped the measure would prevent veterans from falling victim to pension poachers in the future. But Burak said the best way to do that would be for the government to hold pension poachers accountable. “Run someone’s tail up a flagpole as an example of what will happen if you try to monetize or exploit a senior veteran or their widow,” she said. 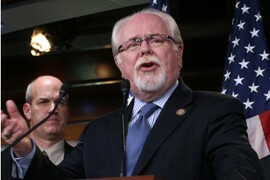 Rep. Ron Barber, D-Tucson, one of the sponsors of a bill aimed at curtailing activities of so-called "pension poachers," said that taking advantage of veterans is "one of the worst things you can do." 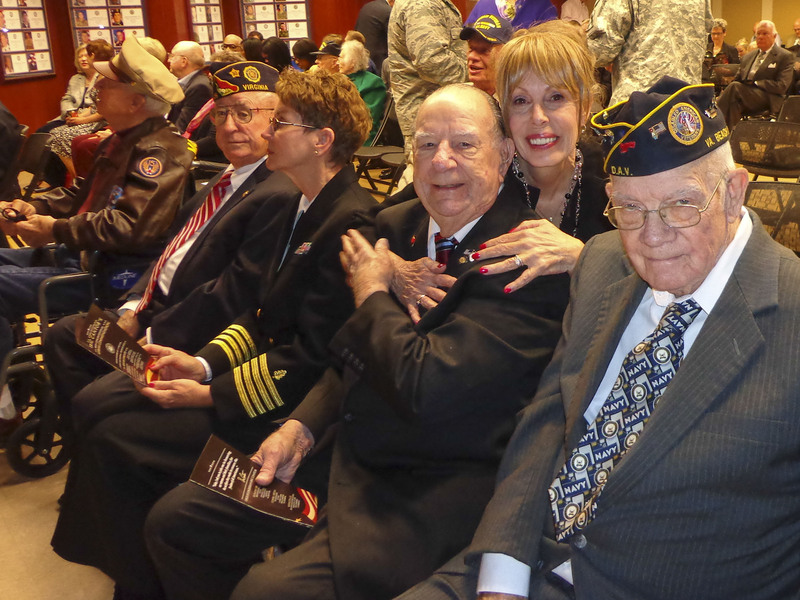 Debbie Burak, an expert on VA pensions shown here at a gathering of World War II veterans, said she would rather see legislation that targets pension poachers directly, something that will "run someone's tail up a flagpole as an example" to others.